A set of spare filters. 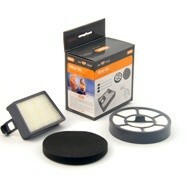 Contains 1 HEPA and 1 pre-motor filter. Payment Plan of 4 x monthly instalments of £3.75 applies to Vax Filter Kit (Type 13) only, additional items to be paid in full at checkout.